Spartans will tangle with the Tide. 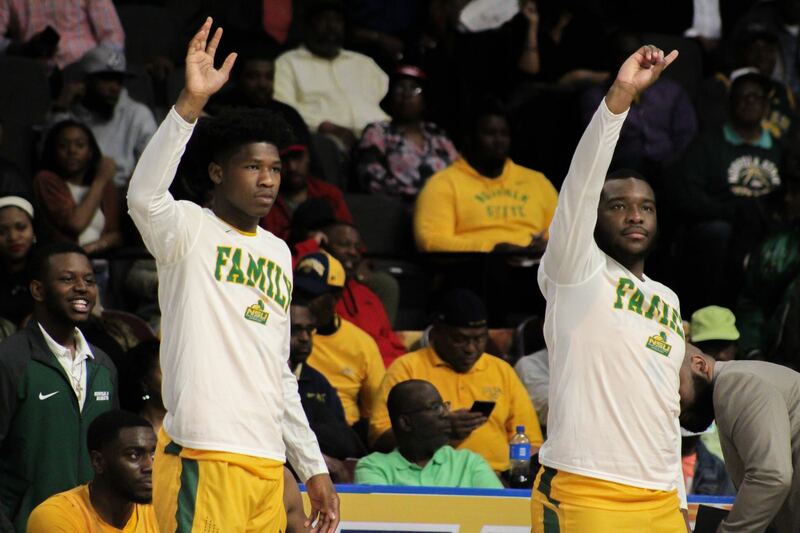 After winning the MEAC regular season title, Norfolk State (21-13) had the insurance policy of making it to the NIT Tournament if nothing else. The Spartans cashed in the policy on Sunday night when it was announced they will face the University of Alabama. NSU missed out on an automatic bid to the NCAA Tournament after losing the MEAC Championship game to North Carolina Central University but the NIT is a solid opportunity. The Spartans will have an opportunity to make a name for themselves playing against a Power Five school. Former Southern University star Avery Johnson and his Alabama team missed out on an at large bid to the NCAA Tournament. The Crimson Tide is a no. 1 seed in the NIT with an 18-15 (8-10 SEC) record. Had the Tide rolled up one more win in the SEC Tournament they may have secured an at large bid to the big dance. That was surely the case for the Spartans, who missed out on the automatic berth. The matchup will give the Spartans at least one more game on national television and provide some coveted exposure. Alabama will host the game at Coleman Coliseum on Wednesday, March 20, at 6 p.m. CT. The game can be seen on ESPNU.